It’s a matter of genius! 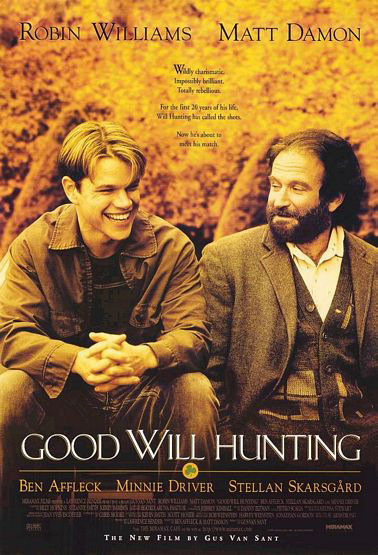 Penghargaan ♠ 2 Oscar: Best Actor in a Supporting Role (Robin Williams); Best Writing, Screenplay Written Directly for the Screen (Matt Damon & Ben Affleck). This script is reality rich and for a first-time job from Ben and Matt, it’s great! However, there were only problems where I felt like a lot of it was just montages rather than actual conversation. But still a good film! Good Review! Thanks CMrok! I do love this movie. This movie captured how people free themselves!